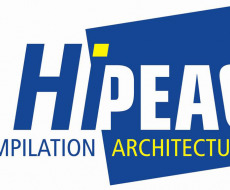 LSI group has achieved 2 HiPEAC collaboration grants. Marina Zapater and Patricia Arroba have achieved a collaboration grant each one; 2 grants of the 20 grants given all over Europe. The grants provide 5000 € for a 3 month collaborative visit. Marina is going to finish her Doctorate continuing her collaboration in the Boston University (BU), USA, supervised by Prof. Ayse K. Coskun, from August to October 2014. In the other hand, Patricia is going to work along 3 month with Prof. Rajkumar Buyya in the University of Melbourne, Australia, from October 2014 to January 2015. We wish them to have a nice and productive work. Congratulations!